What Does the Top Deck Tour Entail? The Grand Opening of the Refurbished Observation Deck 250m Above Sea Level on March 3, 2018! The special observation deck, which stands 250 meters above sea level and that has been closed owing to renovations since October 2016, will receive a grand opening on March 3, 2018, under the new name of "Top Deck". 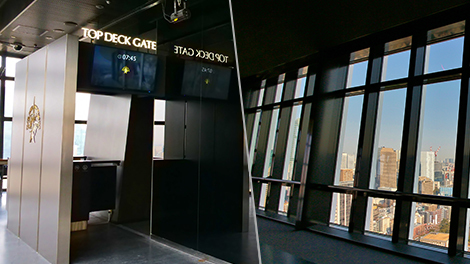 The Top Deck Tour entails a hands-on experience of the special Top Deck, which provides a sense of floating in the sky and that has been designed in accordance with an image of The Future of Tokyo and the Future of Observation Decks. Reservations made on the Advance Reservation System provide a tour that can be joined without waiting, a multilingual voice guide system in 13 languages that explains the landmarks being viewed, a drink service, a photo-card gift and, more importantly, warm hospitality from our attendants. 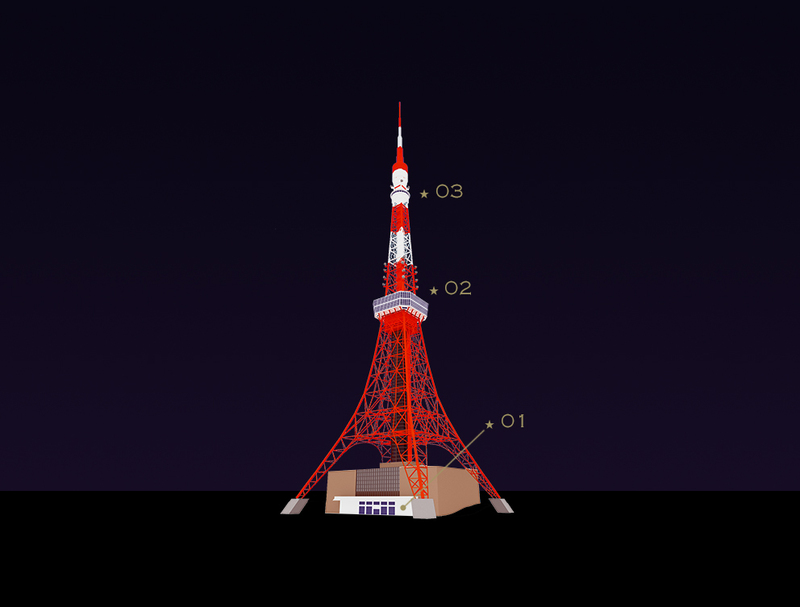 Participants will experience Tokyo Tower's history, and ride a new glass-paneled elevator up to the Top Deck while enjoying panoramic views of modern-day Tokyo, where they will be enveloped by geometric mirrors and LED lighting that immerse them in the atmosphere of a future metropolis. The Top Deck Tour provides the world with omotenashi hospitality as Tokyo Tower approaches its 60th anniversary since opening, and only participants of this tour are able to experience the fun available on the Top Deck. No waiting time. Board the elevator at the designated reservation time. Simply submit your QR code. Advance reservations provide smooth access. Change elevators at the 150m Main Deck. Your trip from the past to the future begins the moment you move beyond the gate to the Top Deck. Exclusive Top Deck Tour. Central Tokyo. The special sensation of being 250m above sea level. 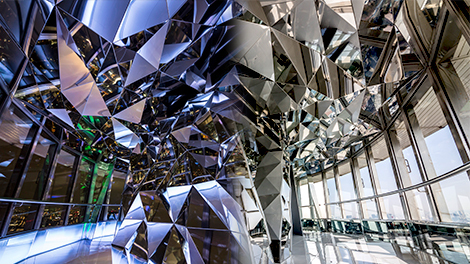 Tokyo reflected in geometric mirrors. The starring role is played by you. together with the points to look out for, will be provided. (1) First, go to the Top Deck lane on the 1st floor of Foot Town. All tours must be reserved in advance and operate on time-specified itineraries. Submit the QR code issued when you made your reservation to the staff member on the special Top Deck lane for tours, located on the 1st floor of Foot Town. The tour will begin once check-in is complete. A 13-language multilingual voice guide service is available for people elementary school age and older. (2) Take the special elevator to the Main Deck (150m). Tour participants will be guided to the Main Deck 150m above sea level. Move to the Top Deck Gate on the 2nd floor of the Main Deck at the pre-specified time and submit your QR code once again. Once you have passed through the gate, a world you can only enter on the Top Deck Tour begins to be revealed. * The name of the main observation deck (150m) will be changed to Main Deck on March 3, 2018. 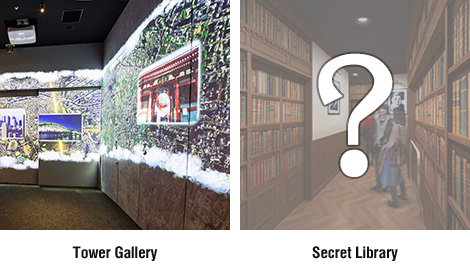 (3) Experience the history of Tokyo Tower in the Gallery! First of all, you will be introduced to scenes of Tokyo Tower being built, the landmarks of Tokyo, as well as new and old scenes of the city. Once your imagination has been stimulated with the high-grade construction technologies used sixty years ago, you will be ushered through a door and discover what is waiting for you...! The culmination of the Top Deck Tour that spans from the past into the future. Listen to the explanations of the panoramas on your voice guide unit and enjoy a leisurely tour of the Top Deck that appears to float in the sky. Please notify the Top Deck attendant when you are leaving. The call system will guide participants who wish to leave to the elevator without creating queues. It is possible to leave the Top Deck Tour via the Main Deck. We hope you will enjoy this taste of the metropolis, which can only be experienced 150m above the ground in the center of Tokyo. Only members with reservations for the tour are allowed access to the Top Deck. Tickets for up to a maximum of 10 people can be purchased at one time from the Top Deck Tour Reservation Page. Access to the Top Deck (250m) and Main Deck (150m), as well as other supplementary services are included in the tour fee. *Only one photo card gift is presented to each group. Tickets to the Main Deck (main observation deck) cannot be used. Tour reservations must be made separately. See this page to gain access to the Main Deck (main observation deck) without participating in the Top Deck Tour. A credit card is required for tour reservations. Designated times for Top Deck Tours must be reserved in advance. Reservations can be made if tour vacancies are available, including for today, from the reservation page listed below. Reservations involving cash payments can only be made at the ticket counter on the 1st floor of Tokyo Tower (after the Top Deck is open). Be sure to check the Tour Meeting Place and Frequently Asked Questions (FAQ) pages before making your reservation. Note that multiple wheelchairs are not allowed inside the facility simultaneously due to the small elevator that is required because of structural restrictions, and to ensure safety in the event of an emergency. There are also restrictions on the size of wheelchairs due to the width of the corridors. 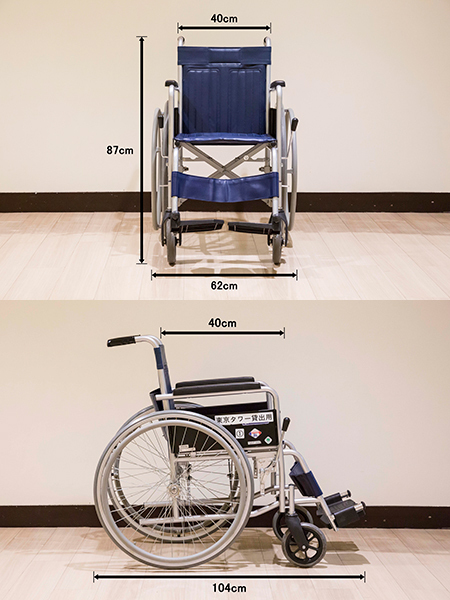 The maximum size of wheelchairs that can be admitted is 700 mm × 1,200 mm. Please confirm the wheelchair's measurements in advance. In addition, wheelchair users must be accompanied by an assistant. Thank you for your understanding. Check here for details on wheelchair sizes. * There are cases in which tours will be cancelled due to unavoidable situations, such as wind speeds exceeding 20 m/s (Top Deck), heavy snow or other severe weather, and facility inspections to confirm safety. Click here for details on the procedures for this situation. Login to the special page listed below to issue tickets, to confirm reservation details and to cancel tours. A: Tickets can be cancelled up until 23:59 three days prior to visiting the Tower. A cancellation charge of ￥1,000 must be paid for each purchase, regardless of the number of tickets involved. Cancellation charges will not be refunded even if new tickets are purchased. Applications for tickets to be changed or cancelled/refunded will not be accepted after 23:59 three days prior to visiting the Tower. QR codes will be displayed once the payment procedures on the tour reservation page have been completed. Make sure you save the QR codes as screen images (screen captures), or print them out and bring them with you to the special Top Deck Tour lane on the 1st floor of Foot Town on the day of your visit. * One QR code will be issued for each person. 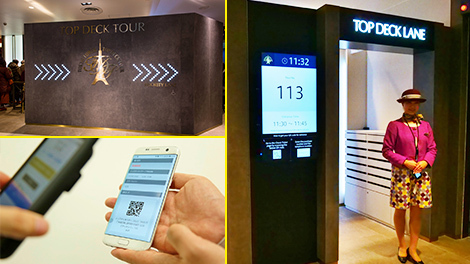 Arrive at the special Top Deck Tour lane in the 1st floor elevator lobby of Foot Town by the designated time of the reservation, and submit the QR codes to the staff member on duty. You will be given priority to enter, even if the lobby is congested. However, note that you will not be able to participate in the tour if you arrive late. The elevator will first stop at the Main Deck (150m). It is necessary to change elevators in order to travel to the Top Deck (250m). 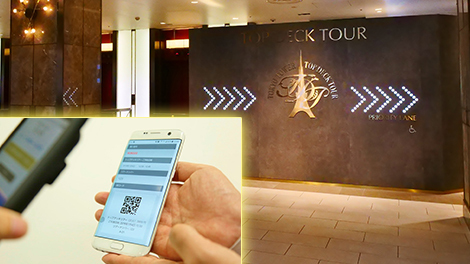 Arrive at the Top Deck Gate, which serves as an elevator changing area, by the time designated when you made your reservation, and submit the QR codes to the staff member on duty once more. Once again, note that you will not be able to participate in the tour if you arrive late. What happens if the tour is cancelled? There are cases in which tours will be cancelled due to unavoidable situations, such as wind speeds exceeding 20 m/s (Top Deck), heavy snow or other severe weather, and facility inspections to confirm safety.The following procedures will be followed in this situation. If you wish to have your tour rescheduled to a different date/time, we can provide a rescheduled reservation, but only if you are already at Tokyo Tower. Please visit the tour office. Visitors wishing to visit the Main Deck are requested to go to the tour office. Details on special rates will be provided. For visitors who purchased tickets from the Web Ticket Reservations and Sales Service Visitors do not need to do anything. An e-mail will be sent to the e-mail address used at the time of purchase when the refund procedures have been completed. * The date of the refund and other details will differ in accordance with the contract you have concluded with your credit card company, so please direct all inquiries regarding such details to your credit card company. Refunds will be made in cash. We apologize for the inconvenience, but please submit your receipt and your purchased tickets at the ticket counter. The payment made via credit card will be cancelled. We apologize for the inconvenience, but please submit your receipt, your purchased tickets and your credit card at the ticket counter. Visitors do not need to do anything. Is it possible to join the tour without a reservation? The Top Deck Tour is only for people with reservations. Reservations can be made on the Internet Ticket Reservation and Sale Service site. 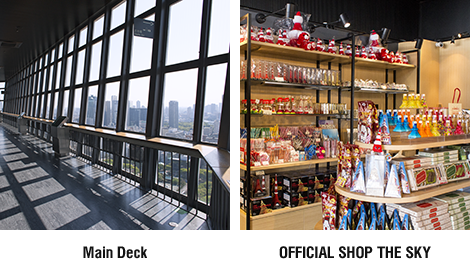 Reservations can also be made at the ticket counter on the 1st floor of Tokyo Tower Foot Town (after the Top Deck is open). Is it possible to make reservations by telephone? Reservations cannot be made by telephone. What is the multilingual voice guide? A voice guide unit providing guidance in 13 languages that is loaned out to all Top Deck Tour participants over elementary school age (free of charge). The tour guidance and panorama explanations enhance the enjoyment of the tour. Available Languages: Japanese, Chinese (traditional and simplified), Korean, English, Spanish, French, Italian, German, Russian, Thai, Vietnamese, Indonesian. At what times are the first and last tours? The first Top Deck Tour of the day is between 09:00 and 09:15. The final tour of the day is between 22:00 and 22:15. What happens if we arrive late for the tour? Unfortunately your reservation will be invalidated. Refunds will also not be possible. However, it will be possible to visit the Main Deck. Is there a limit to the amount of time we can spend on the Top Deck? No. However, Top Deck visiting time ends at 22:45. 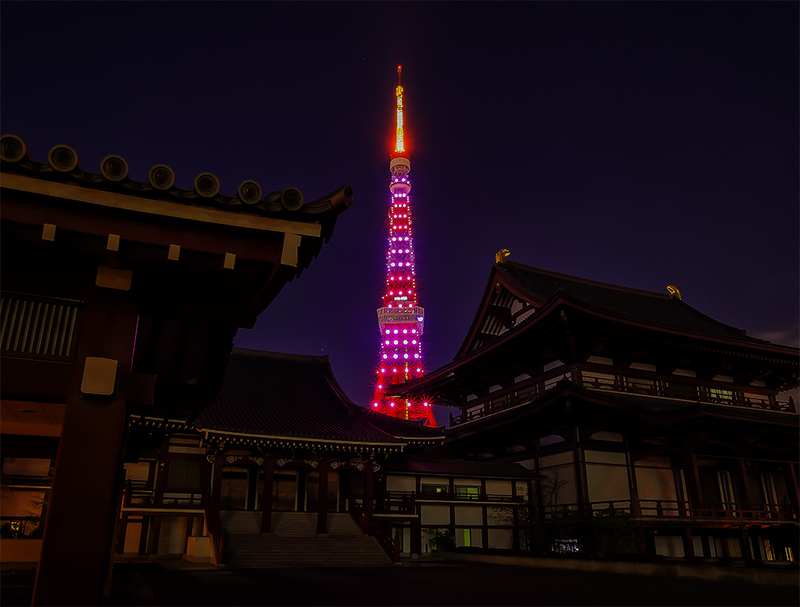 Tokyo Tower closes at 23:00. Are there any limits on the amount of luggage I can bring inside? Please store any item for which the height, width, and depth add up to 100 cm or more at the tour office on the first floor of Foot Town. Is it possible to bring a baby stroller inside? There are stairs to be climbed, so it is recommended that baby strollers are stored at the tour office on the first floor of Foot Town. Can children take part in the tour unaccompanied? Children can join the tour unaccompanied, although parents or guardians must be in full agreement. Can I bring a tripod for a camera? No, tripods cannot be brought to the Top Deck. To what parts of Tokyo Tower do the Top Deck tickets provide access? They provide access to the 150m Main Deck and the 250m Top Deck. Where can the tickets be purchased? 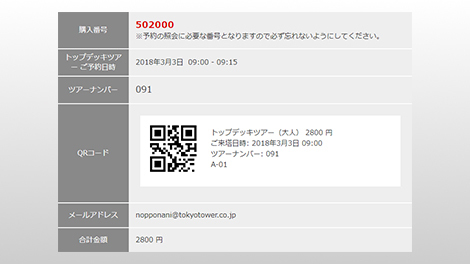 Tickets can be purchased from the Internet Ticket Reservation and Sale Service site and from the ticket counter on the 1st floor of Tokyo Tower Foot Town (after the Top Deck is open). Can tickets purchased from the Internet Ticket Reservation and Sale Service site be paid for in cash? 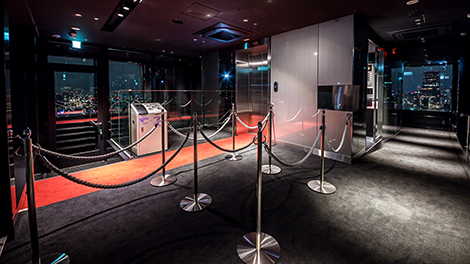 Visitors wishing to pay by cash are requested to make their reservations and purchase tickets at the ticket counter on the 1st floor of Tokyo Tower Foot Town (after the Top Deck is open). Is it possible to change the dates or times of the tickets? Dates and times of tickets cannot be changed after purchase. The tickets must be cancelled, and new tickets purchased. * A cancellation charge of ￥1,000 must be paid for each purchase, regardless of the number of tickets involved. Is it possible to cancel tickets if the weather is bad? We are unable to cancel tickets because of bad weather. Click here for details on cancelling tickets. Is it possible to reenter the facilities after having left? Tickets provide only one-time access. It is possible to visit the 150m Main Deck after descending from the 250m Top Deck. Can discount tickets and invitation tickets be used? Discount tickets and invitation tickets can only be used for the main observation deck, not for the Top Deck Tour. How far in advance is it possible to reserve and purchase tickets? Tickets go on sale 60 days prior to the date of the tour. I did not receive my ticket purchase complete e-mail. Check to make sure that there is no error in the e-mail address, and that the receipt of e-mail has not been blocked. If you have activated the filtering function for the e-mail settings provided by your provider or cellphone carrier, check for receipt of the e-mail in the "Deleted" folder and "Spam" folder. * Purchase complete e-mails are sent out automatically and cannot be resent. * To check details of your purchase, prepare the [Purchase Number] and access the [Check Ticket] page. Your purchase could not be completed due to an error or cancellation, but the fee is billed. You may be billed immediately when the "order details confirmation" page is displayed after the card information input with debit cards and other cards. If your purchase is not completed, the full price will be refunded. However, the timing of refund differs with card companies and issuing banks, so please contact respective card companies or issuing banks. What are the conditions for cancelling tickets? Tickets can be cancelled up until 23:59 three days prior to visiting the Tower. A cancellation charge of ￥1,000 must be paid for each purchase, regardless of the number of tickets involved. Cancellation charges will not be refunded even if new tickets are purchased. Applications for tickets to be changed or cancelled/refunded will not be accepted after 23:59 three days prior to visiting the Tower. Where should I go to join the tour? Go to the Top Deck lane on the 1st floor of Tokyo Tower Foot Town. What do I need to submit to join the tour? The QR codes issued at the time of purchase for everybody taking part in the tour are required. Print out or save images (screen capture) of the tickets and submit them upon arrival. The QR codes can be checked on the ticket purchase complete e-mail, and on the Check Top Deck Tour Ticket screen. How long does it take to go from the Top Deck lane (1F of Foot Town) to the Top Deck gate (2F of the Main Deck)? Do we need to wait in line outside of the building when the Tower is crowded? There is no need to wait in line outside. Enter from the entrance on the right-hand side of the Foot Town first-floor front entrance (ticket counter), and then go directly to the Top Deck lane. Is it possible to go to the Top Deck lane from inside the Foot Town building? Yes. Use the escalators, elevators or stairs within the building to go to the Top Deck lane on the first floor of Foot Town. Is it possible to join the Top Deck Tour from the external staircase to the Main Deck? Is it not possible to join the Top Deck Tour from the external staircase to the Main Deck. Are there any wheelchair-accessible bathroom facilities available during the Top Deck tour? There are no wheelchair-accessible bathrooms on the Top Deck or Main Deck. Please use the accessible bathrooms on the first and second floors of Foot Town. Can wheelchair users participate in the Top Deck Tour unaccompanied? No, wheelchair users must be accompanied by an assistant.